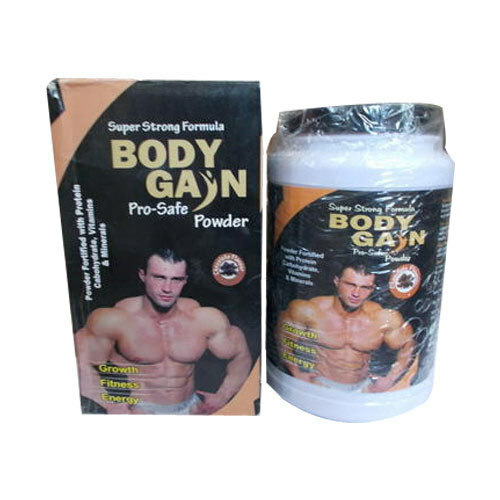 Being a leader in the industry, we are engaged in offering a qualitative range of Body Gain Powder to our customers. Founded in the year 1985, we “Mexico Laboratories” are the leading manufacturer & trader of Pharmaceutical And Ayurvedic Tablets, Pharmaceutical And Ayurvedic Powder, Pharmaceutical And Ayurvedic Capsule, Ayurvedic Oil, etc. We provide these herbal products in bulk amount to attain the complete satisfaction of the clients. We are a Sole Proprietorship company which is located in Jalandhar (Punjab, India) and constructed a wide and well functional infrastructural unit where we process these herbal products as per the set standards. Under the supervision of “Mr. Amit Puri” (Proprietor), we have gained huge clientele in our country. We are exporting our products in UK, South Africa, Sri Lanka, Afghanistan, etc.